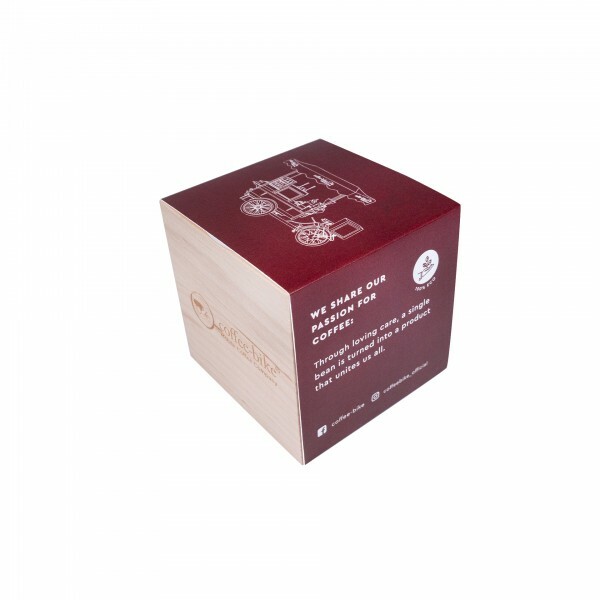 Product information "Coffee-Bike ecocube - coffee plant for home"
The ecocube in the exclusive Coffee-Bike Edition is the perfect gift for real coffee lovers. The small wooden cube contains several coffee plant seeds that can be grown at home into a real coffee plant. The ecocube is a synonym for sustainability: during planting, the cube serves as a natural fertilizer. Related links to "Coffee-Bike ecocube - coffee plant for home"
Customer evaluation for "Coffee-Bike ecocube - coffee plant for home"